What Is the Size of a Golf Ball Hole? Golf courses often change hole locations on all greens daily, so check pin placements when playing the same course on a different day. While the styles and lengths of golf courses can vary greatly, from a monster-length links course to a short pitch-and-putt layout, there is one constant at every course the world over -- the dimensions of the holes cut into all of the greens. All golf holes cut into a green should be circular, with a diameter of 4 1/4 inches. Cutting a hole smaller or larger than this diameter will result in putting becoming too difficult or too easy, and will make a course non-regulation. Additionally, holes cannot be shallow, and most provide plenty of depth for a ball to drop in, so that players can know if balls truly missed, as opposed to simply hitting a shallow bottom and bouncing out. The minimum depth for a hole is 4 inches. When cutting a hole, it is important to use the proper tool. Hole cutters are designed to cleanly remove a cylinder of ground in one pull, and in the appropriate 4 1/4-inch diameter. Using these cutters, the removed hole can then be transported and placed down to plug the hole being filled in, as the cutter does not destroy the ground moved like a hand-dug hole will. Additionally, digging with other tools, such as a spade, removes the precision a golf hole cutter provides. While simply digging a hole can suffice for creating a regulation golf hole, it is recommended that supports be placed within the hole after it is dug to ensure that the hole's integrity is maintained. Cups are often made of plastic and slide into the hole that has been cut, resting just below the surface of the green. In addition to providing support for the walls of the hole, cups provide a clean surface to catch the golf balls, so players do not have to get dirty retrieving their balls. Regularly moving the holes on a course is essential in keeping the greens in top condition. Over a day, a busy course will see hundreds of shots played into a given green, and with all those shots aimed at the same hole location, a higher percentage of the shots will be focused around the hole. Damage can accumulate, both from ball marks from shots landing on the green and wear and tear of players walking around the hole when putting. Changing a hole location in the morning moves the area of concentration around from day-to-day, preventing an area from getting worn through. When laying out the hole locations for a day, it is important to note the difficulty of the holes you are cutting. Hole difficulty comes in two forms -- the location of the hole and the break around the hole. Placing a hole in a hard-to-reach portion of the green, near bunkers, increases difficulty, as does placing it on a sloped area, where players will have to account for a lot of break. Balancing difficult and easy locations throughout the course is usually the best strategy, but occasionally, you may wish to tailor the course to play easier or more difficult for a special occasion. 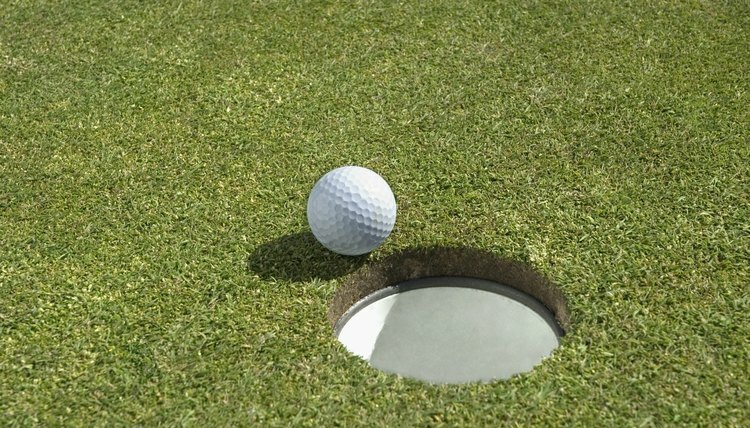 Why Do Some Holes on the Golf Course Have Two Cups? What Is a Condor in Golf?